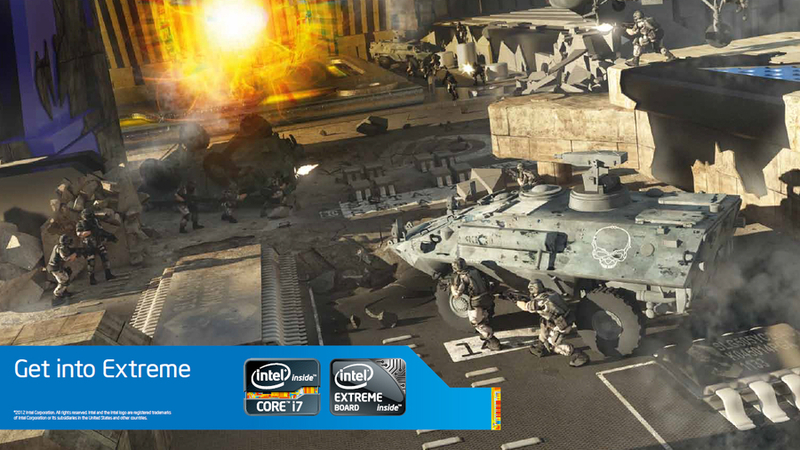 Dominate the competition with the new Core i7 3970X Extreme Processor from Intel. Thanks to its advanced microarchitecture and a killer combination of smart features, including Intel Hyper-Threading Technology and Intel Turbo Boost 2.0 Technology, the Intel Core i7 3970X Extreme Processor is Intel's most tunable, responsive and downright devastating PC processor ever. It's the ultimate weapon for extreme gamers and power users who demand unrivalled multi-core PC performance. Clocked 200MHz higher than the outgoing Intel Core i7 3960X Extreme Processor, the new Intel Core i7 3970X Extreme Processor packs six Hyper-Threaded processor cores. That means support for 12 software threads and incredible parallel processing performance. With an unlocked CPU multiplier, you can also take the Intel Core i7 3970X Extreme Processor to the next level with easy overclocking. What's more, 15MB of cache memory gives the Intel Core i7 3970X Extreme Processor more than double the on-die memory of other CPUs. And you get all this for the same price as the Intel Core i7 3960X Extreme Processor. The Intel Core i7 3970X Extreme Processor runs on the Intel X79 chipset and LGA2011 CPU socket. Together, they provide the world's best platform for PC performance and peripheral support. For starters, quad-channel memory serves up unbeatable CPU memory bandwidth. Then there's PCI Express 3.0 with up to 40 channels for the ultimate in graphics and add-in card performance. That's enough to support two high performance graphics cards in multi-GPU rendering mode and deliver outrageous frame rates, even in the most demanding games. And why not top it all off with Intel's Series Solid State Drive 520 Series? Faster, more responsive and more reliable than any conventional hard disk, the Intel Solid State Drive 520 Series' slick storage performance makes a perfect partner for the Intel Core i7 3970X Extreme Processor. Experience adrenaline on a chip with the new Intel Core i7 3970X Extreme Processor. Unlocked, unbeatable and running on the world's most advanced PC platform, it's Intel's ultimate processor technology unleashed. 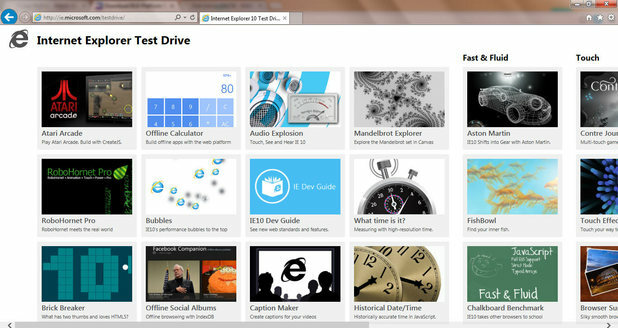 Microsoft has released a preview build of its Internet Explorer 10 web browser for Windows 7 users to try out. The software came pre-loaded with the Windows 8 operating system, but a sample version is now available free for users who are yet to upgrade. Internet Explorer 10 promises a faster, more fluid experience than the previous Internet Explorer 9. The preview edition will run on both 32-bit and 64-bit versions of Windows 7. The sampler software will include numerous differences from its Windows 8 iteration, such as the omission of Adobe Flash support. Windows 8 was released for PCs and tablets last month to generally positive reviews. The operating system hit the milestone of 4 million users just days after its launch. The Internet Explorer 10 preview build is available to download from Microsoft's website. 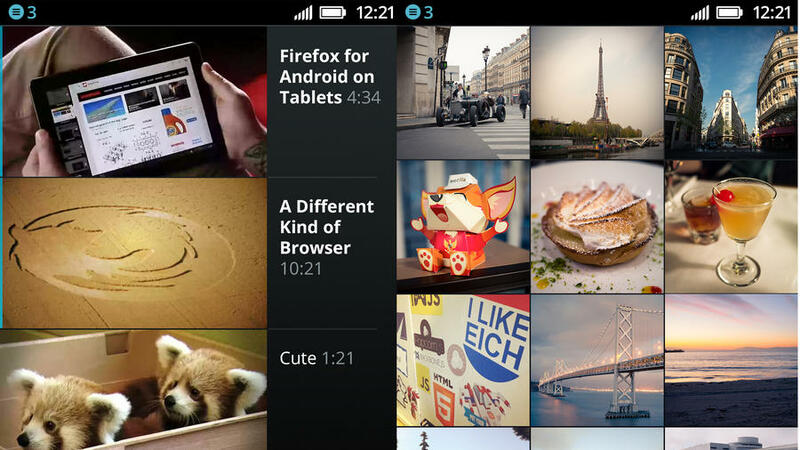 Nokia has promised its Here service will bring top-end mapping features to budget phones when the Firefox OS launches. Nokia has rebranded its mapping application to be called Here and has worked with Mozilla to offer a suite of features to the new OS when it arrives in 2013. The new platform from the browser-maker is designed to make rich web apps that can run on a variety of affordable phones, and Nokia Here will provide free 'location experiences' to the OS. Being able to offer location services is a key part of any operating system, and with Firefox OS the tie-in with Here will offer powerful tools for developers to play with. However, the new OS is based on the HTML5 standard and runs on top of the Android structure, so the likes of Google Maps will still be available as competition. It's in the tools the new system provides that the benefit comes in though, with both companies combining to integrate the mapping data within the platform. The first Firefox OS devices are expected to launch in Brazil in January 2013, but will likely make their way to the UK and US later in the year at a super-cheap level. Behind every world's fastest supercomputer is a high-performance visual processor, and in the case of the new Titan comp, that GPU is the Nvidia Tesla K20X. Nvidia's newly unveiled graphics accelerator is part of the company's K20 line, which not only boasts the highest performance, but also manages to be the most energy efficient. With Titan packing 18,688 Tesla K20X GPU accelerators, the newly crowned supercomputer has a performance record of 17.59 petaflops, or 17.59 quadrillion calculations per second. "We are taking advantage of Nvidia GPU architectures to significantly accelerate simulations," said Thomas Schulthess, professor of computational physics at ETH Zurich and director of the Swiss National Supercomputing Center in a press release. According to the professor, such simulations will benefit fields of climate and meteorology, seismology, astrophysics, fluid mechanics, materials science and molecular biophysics. The K20X, the flagship of Nvidia's Tesla line, surpasses all other processors with 3.95 teraflops single-precision and 1.31 teraflops double-precision peak floating point performance. 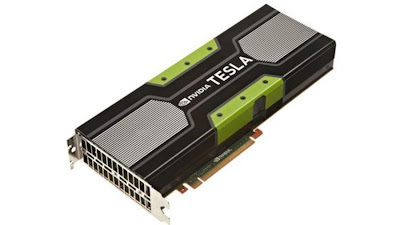 Nvidia also unveiled the Tesla K20 accelerator, which delivers a strong performance of 3.52 teraflops of single-precision and 1.17 teraflops of double-precision at peak. Both the K20X and K20 are based on Nvidia's Kepler compute architecture and have enabled more than 30 petaflops of performance delivered in the last 30 days. According to Nvidia, this is equivalent to the computational performance of last year's 10 fastest supercomputers combined. The Titan supercomputer, with the help of the Nvidia K20X, took the top spot on Top 500's biannual list of the world's top supercomputers this week. However, with the way tech specs advance, the Titan can be quickly knocked out of contention in six months. It replaces the new No. 2, the IBM Sequoia, which itself replaced the new No. 3, the Fujitsu's K computer. In addition to appearing at the Oak Ridge National Laboratory in Oak Ridge, Tenn., where the Titan supercomputer is located, K20 GPUs are going out to labs and universities worldwide. Early customers in the U.S. include Clemson University, Indiana University, Thomas Jefferson National Accelerator Facility, National Center for Supercomputing Applications, National Oceanic and Atmospheric Administration, Oak Ridge National Laboratory and the University of Southern California. International locations King Abdullah University of Science and Technology and Shanghai Jiao Tong University are also destined to be part of the exclusive K20 GPU club. EE, the UK's first 4G network has confirmed that it will be delaying its SIM-only plans "by a few weeks". The network tweeted the news earlier today, with the message on the social networking site reading: "Sorry folks – there's been a date change for our SIM-only plans. "We expect to bring them in the next 2 weeks. Stay tuned for the new date." We contacted EE to find out how the delay came about, with the network citing overrunning testing for the longer wait time. An EE spokesperson told TechRadar: "The launch of SIM only plans (due Nov 9) will be delayed by a few days as a result of our comprehensive testing process over-running slightly. "We know many customers are anticipating these plans and apologise for this short hold up. However they will be reassured that we are determined to offer the very best service possible." EE hasn't fully announced the pricing structure for its SIM-only plans, but we do know that they will all have unlimited calls and texts, with the cheapest costing you £21 per month. Virgin TV Anywhere has been launched for Virgin Media customers, bringing a host of features to computers and apps for phone and tablet. With Sky flying high on the back of its impressive companion apps on tablet and online, Virgin Media's answer is its own suite of connected services. That includes on demand, catch-up TV and plenty of social media options, although app functionality is limited to those with TiVo boxes. 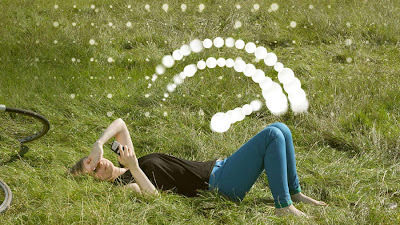 Cindy Rose, executive director of digital entertainment at Virgin Media, said: "The world of digital entertainment is moving so fast, consumers are always looking for the next 'big thing' to take advantage of the features and connectivity built into today's gadgets. "Virgin TV Anywhere builds upon our fantastic TV service, blending in the best of TiVo and our expertise in broadband and mobile, to bring customers a compelling entertainment experience to enjoy whenever they want, wherever they are – all at no extra cost." The TiVo app will be available on iOS devices to begin with and will allow remote record, programme management and the TiVo thumbs up/down functionality. 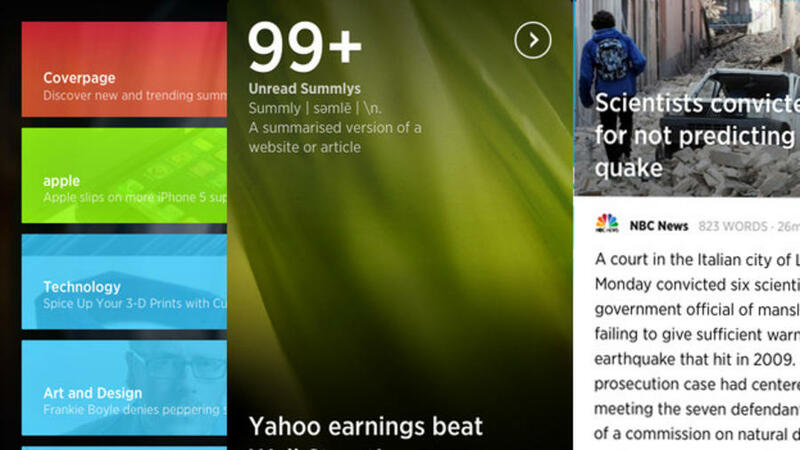 A news summary app, developed by a 17-year-old Brit, leapt in to the App Store top ten just hours after it was launched. The new Summly app, built by teenager Nick D'Aloisio, uses neat algorithms to condense trending news stories into one-screen summaries. The iPhone app works on the premise that people do not have the time or the inclination to read full news articles on a mobile screen and would rather have the basic gist of a story, rather than skim headlines. The 'painstakingly' developed algorithm means that despite all of the chopping, the story still translates into a readable summary, while users can still double-tapping the screen for a more detailed 'Summly'. The length of the Summly is also determined by the size of the iPhone model, so iPhone 5 users will see more text on their 4-inch screen than users of the 3.5-inch iPhone 4S. "What we believed is news on the iPhone-sized screen is currently broken," D'Aloisio said. "So people are just skim-reading the headlines and no one is actually standing in line or on the phone and going, 'I want to read this whole story,' scrolling through a 1,500-word article." Summly, which D'Aloisio took a year out of school to develop, has received over a million dollars in funding from the likes of actor Ashton Kutcher and Zynga CEO Mark Pincus. News Corp. is also on board after signing a deal to have the Wall Street Journal, The Times and other publications appear within the app. This is the second version of Summly. D'Aloisio says the first version was a demo, but this new iteration is ready for the mass market. Judging by the initial flood of downloads, it looks like he may be right.